Online stream anime episodes, Watch Naruto Shippuuden Episode 81 English Subbed online and free episodes. Anime Episode guide, Chapter Naruto Shippuuden Episode 81 English Subbed Sad News Naruto struggles to combine the shape and elemental manipulation in the Rasengan. 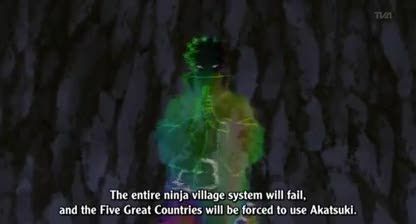 Elsewhere, the Akatsuki begin sealing the two-tailed beast, and the Akatsuki “leader” reveals Akatsuki plans to use the tailed beasts to cause conflict in the ninja nations, serving as mercenaries at a lower cost than the ninja of the hidden villages, replacing them, having monopoly on war and eventually taking over the world. Meanwhile, news of Asuma’s death reaches Konoha just as Naruto realizes the solution is to use two shadow clones instead of one. 3.3 / 5 - 6 ratings.